We were super fortunate to have hosted Khadrola in March 2014. Read more about Khadrola here. Please Note: Khadrola has expressed that she does not want these videos to be distributed or made into a DVD. Please do not redistribute or copy. 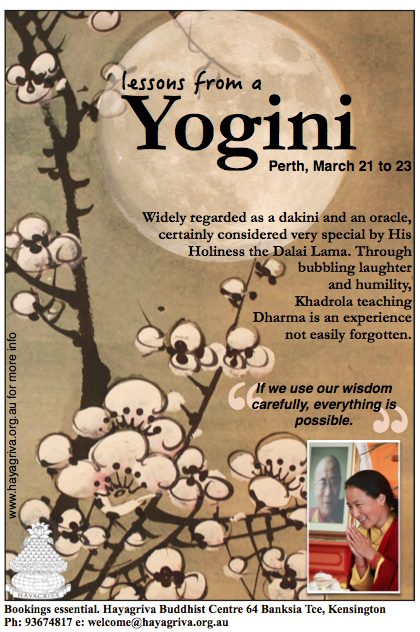 Friday 21 March 7 2014 "How to develop Compassion and a Kind Heart"